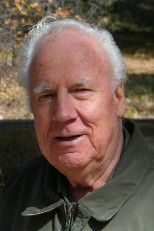 Larry J. Andrus of Ucon, Idaho passed away in April of 2008. His obituary is reprinted here. He is descended from Jane Munday through her son Heber Andrus and then Todd W. Andrus. Heber settled with his brother, Robert, in Ucon, Idaho. Ucon is about 8 miles north of Idaho Falls. Many members of both families still ive in the area. 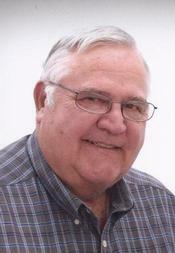 Larry Joel Andrus, 71, of Ucon, passed away April 4, 2008, at Eastern Idaho Regional Medical Center of lung disease. He was born May 10, 1936, In Idaho Falls to Todd Woodruff Andrus and Hortense Naomi Hansen Andrus. He grew up in Ucon, where he attended school and graduated from Bonneville High School. He went on to attend Ricks College, BYU and Utah State University. Larry served his country in the Idaho National Guard. On September 14, 1961, Larry married Shirley Gruvman in the Salt Lake LDS Temple. Together, they had six children. He lived in Ucon his entire life. He owned his own trucking business, Larry J. Andrus and Sons Coal and Grain. For the last 14 years, he worked for Doug Andrus Distributing.